You will need to flush your toilet if you’re going to work on a critical plumbing project relating this important part of a bathroom. That goes well beyond just pressing the lever on your toilet. You’ll have to add water into your toilet to make it work. This flushing process entails getting fresh water into the toilet bowl and then moving it through the drain. This helps with cleaning out the drain and other spaces in the toilet. This is necessary when you’ve got an extensive plumbing project that has to be done. 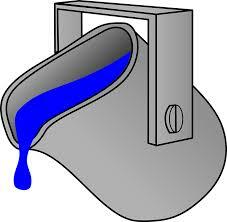 A bucket of water will assist you by cleaning out the pipes linking to a toilet. This in turn should improve how water flows, thus keeping backups and other problems from being a real threat. This also works well if you should clear out the area before taking apart anything that is connected to your toilet. You must drain out the toilet at the start. This allows the toilet to clear out so you can add the water for the flushing process. You must get the water connection turned off as well so no additional water will be produced. The toilet should be kept clear and easy to handle if this process is going to work well enough. After this is done, you must set the lever connection for the toilet back on. You should not turn the water back on though. You should then take a two-gallon bucket and fill it with fresh water. The water should be dumped into the bowl. This should do well with moving into the bowl but it will not cause it to overflow. You could add a second bucket of water into the bowl if it is not going to overflow. You can always use the lever on the toilet to move the water through if necessary. Be sure the water connection is off though so no added water will come in. As this is done, the water will move through and get the connections in your plumbing system cleared out. This helps with purifying the connections so it will be easier to maintain your toilet or even replace it if necessary. Make sure the water is handled with care. It should be clean enough to where it will not leave any added compounds or sediment into your plumbing system. Also, the water connection must be turned off so the risk of splashing or flooding will be reduced. As this problem is reduced in terms of its intensity, your toilet will be easier to maintain and use. You must use this process for a plumbing project if you want to keep your toilet working well. A great flushing process can work with a simple bucket or water to help you clear out anything that might be too difficult to handle.